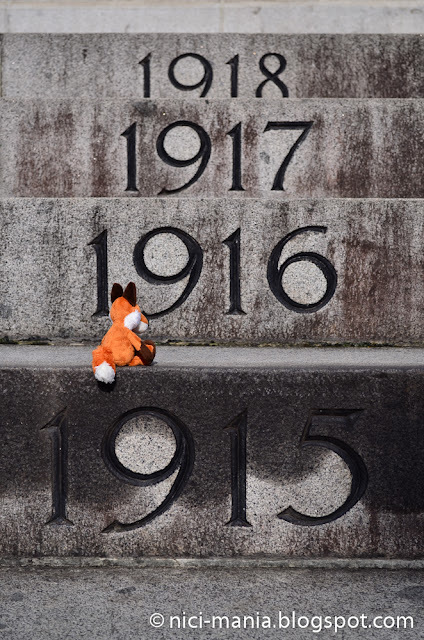 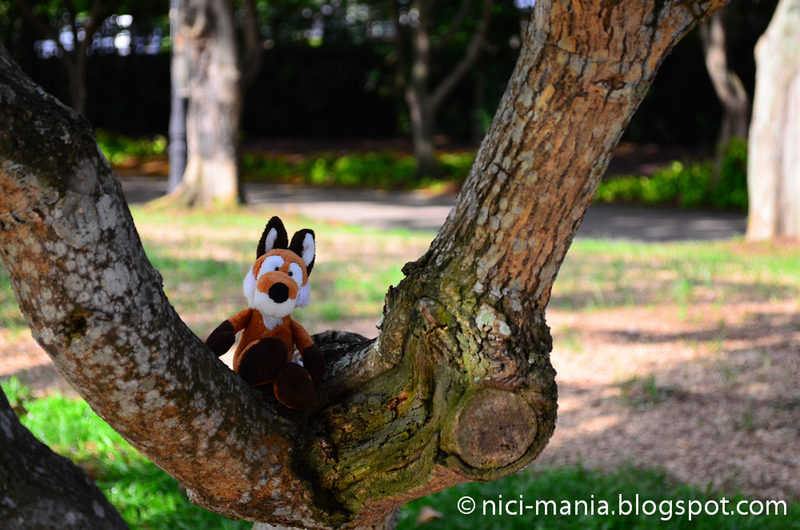 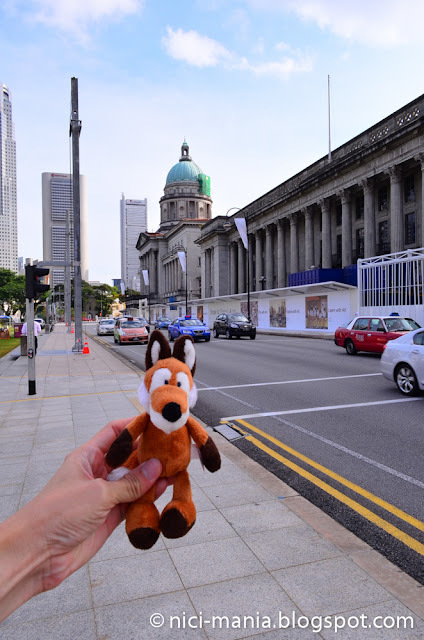 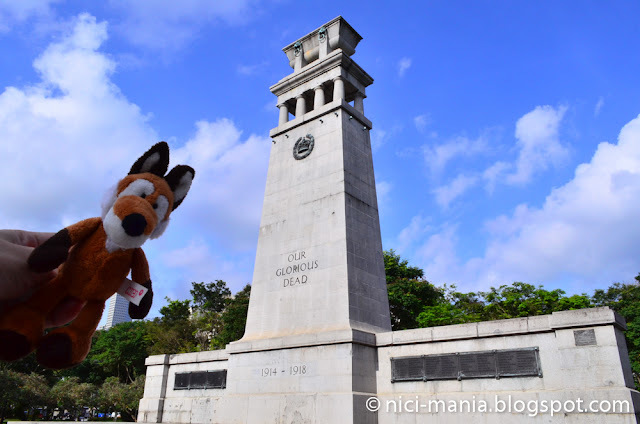 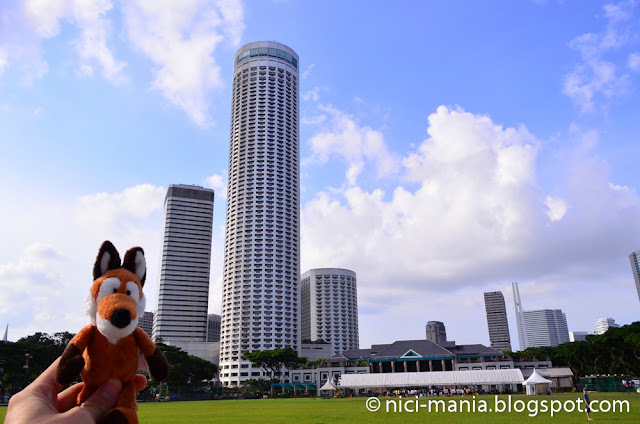 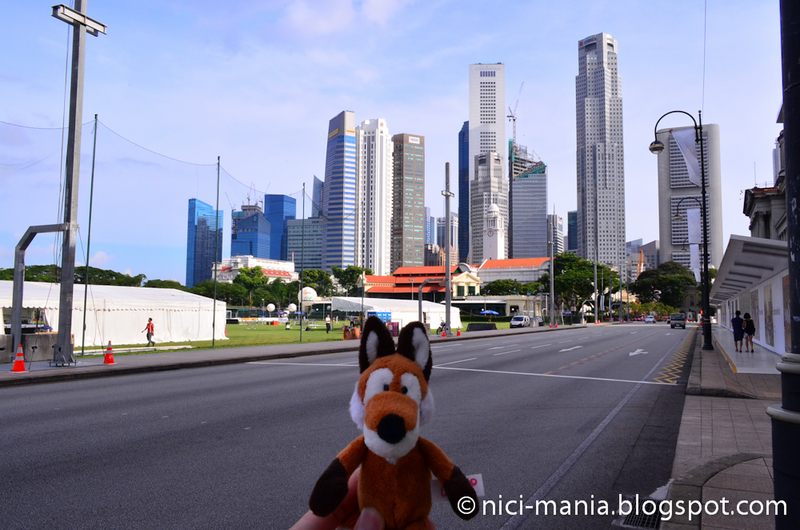 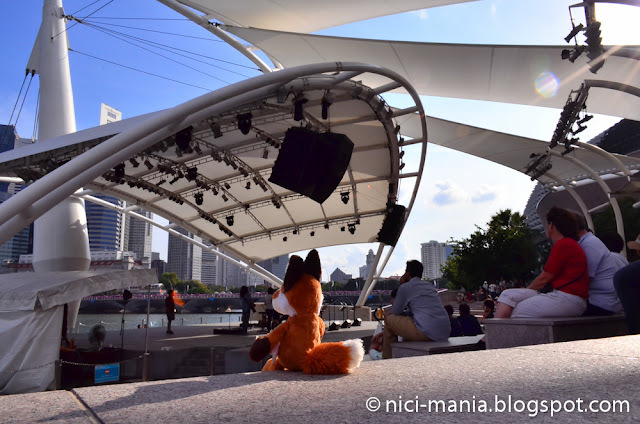 Mini Frederic Fox takes you to a walk on a Sunday evening to show you some images of Singapore. This is the old supreme court building of Singapore, now on the way being refurbished into a cultural arts center. 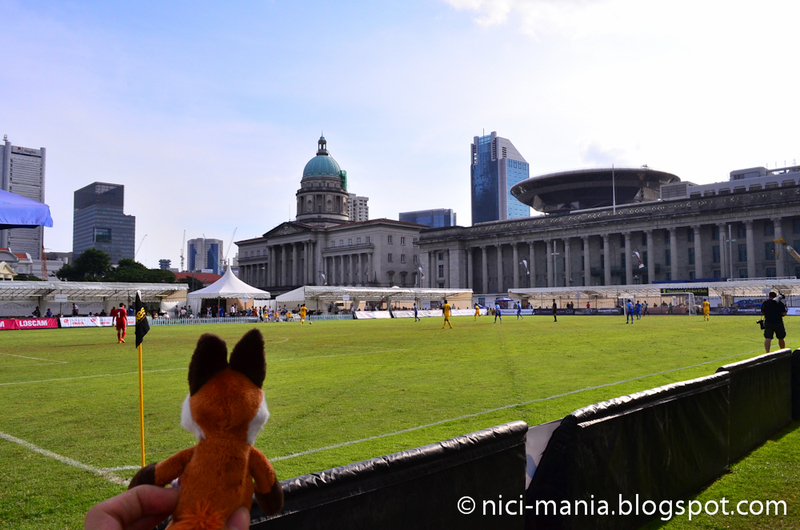 Mini Frederic at the Padang with image of Swissôtel The Stamford behind. 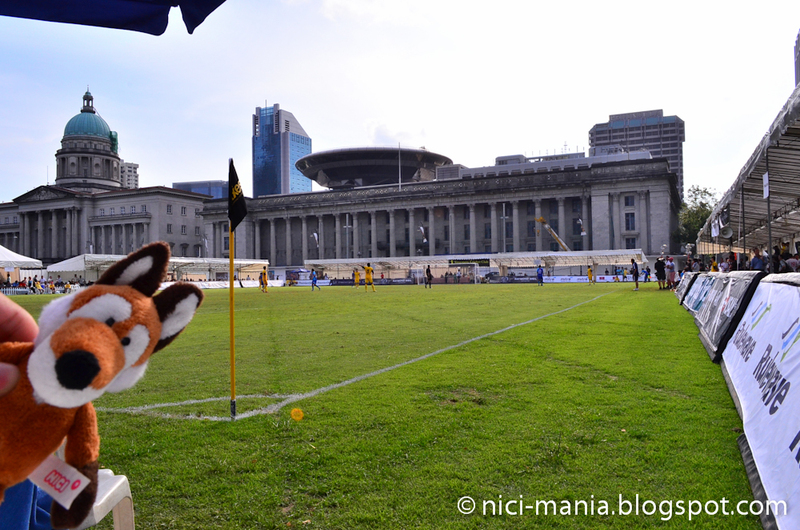 Looks like a soccer match is on at the Padang (field). There are so many open fields in Singapore but only this green patch is called the Padang. Frederic is now at a war memorial cenotaph at Singapore's Esplanade park. 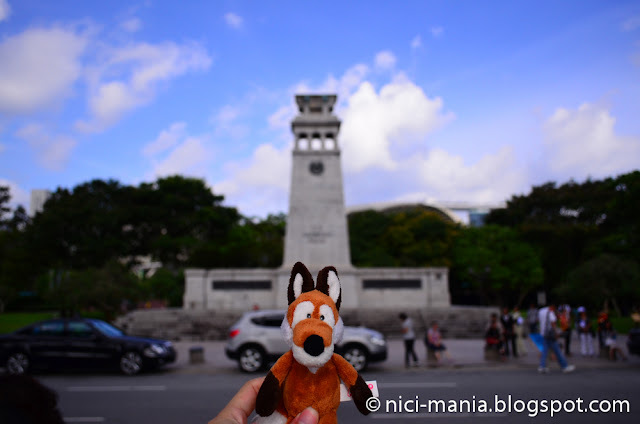 The cenotaph war memorial was later dedicated to the Singapore residents who perished in the World War II. 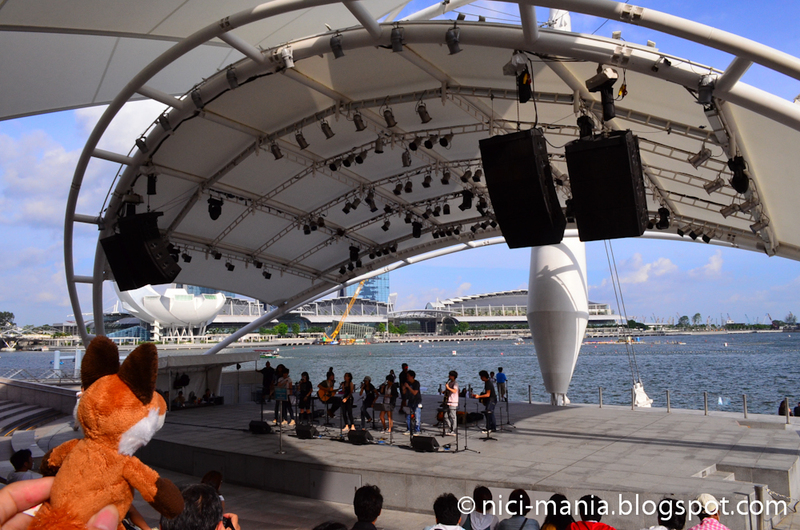 Frederic grabs a seat and enjoys the performance. 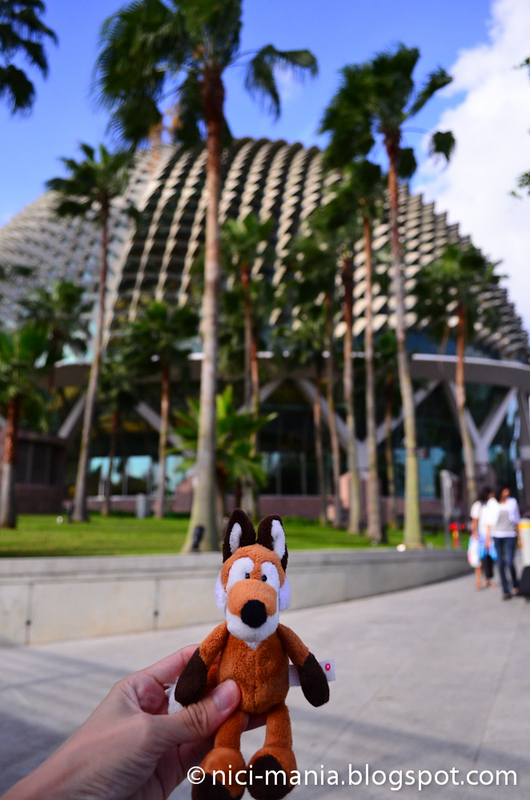 See you next time round on the Images of Singapore.